by Thomann, Robert V., Mueller, John A.
Thomann, Robert V., Mueller, John A. In accordance with the latest standards for water quality, this text presents the fundamental principles of modeling as well as their practical applications in water quality control. All principal natural systems, streams, estuaries, lakes, etc. are treated in a unified manner. 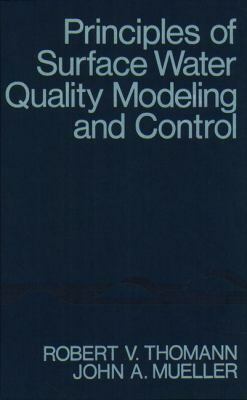 Both authors, and their department, are internationally recognized for pioneering work in water quality analysis.Thomann, Robert V. is the author of 'Principles of Surface Water Quality Modeling and Control', published 1997 under ISBN 9780060466770 and ISBN 0060466774. Loading marketplace prices 6 copies from $44.06 How does the rental process work?